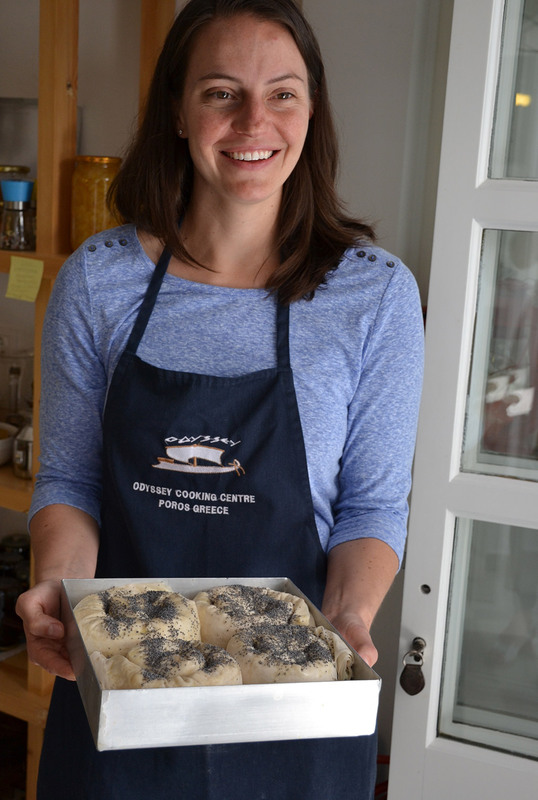 Dutch Travel Journalist Annette Spaan spent months at The Odyssey and is a guest blogger for Katerina’s Kouzina. 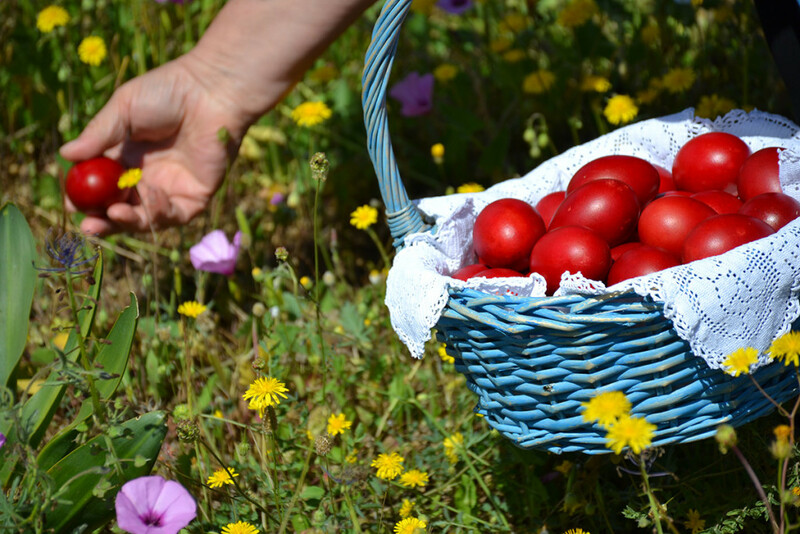 Read all about her experience of Greek Easter at The Odyssey last year. 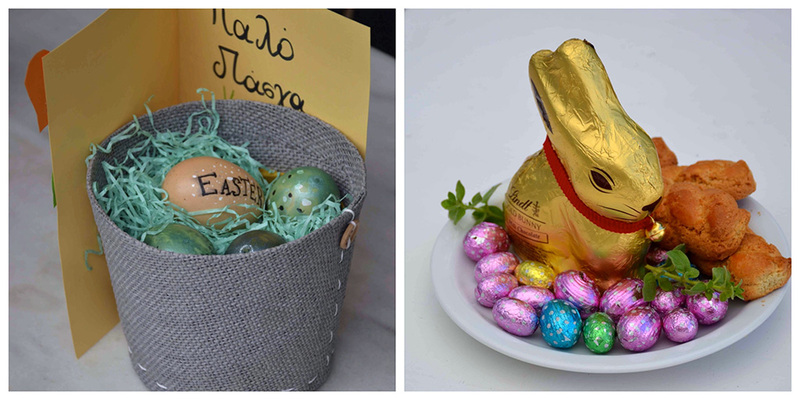 It’s Easter Sunday! Today the resurrection of Jesus Christ is celebrated. 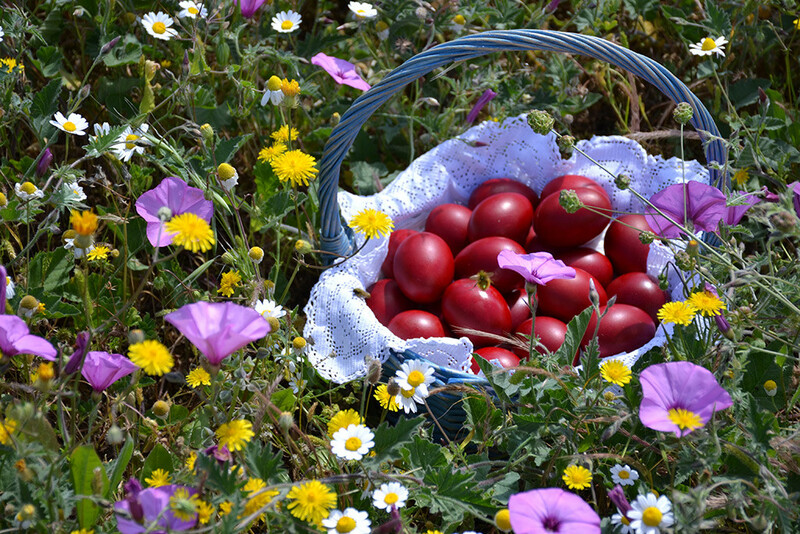 I am excited to experience my first Greek Orthodox Easter. 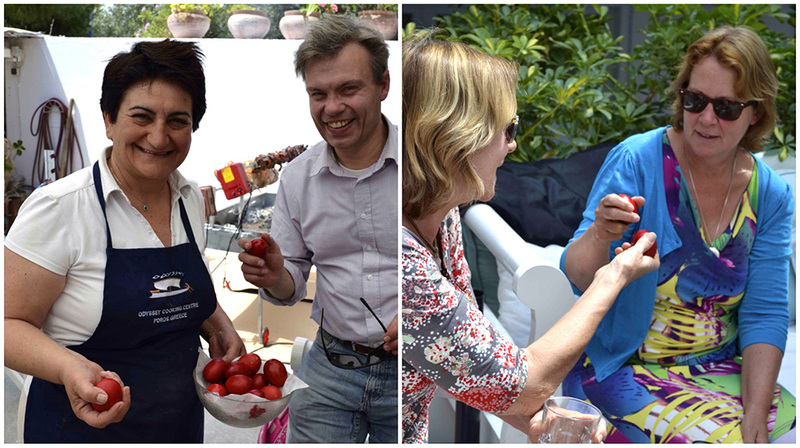 “There is 30 kilo of meat, so that’s 1.2 kilogram per person,” Katerina says smiling. Vangelis wonders if it’s enough. He has the most important job of the day: putting the goat on the spit and roasting it until it’s ready for the Easter lunch. 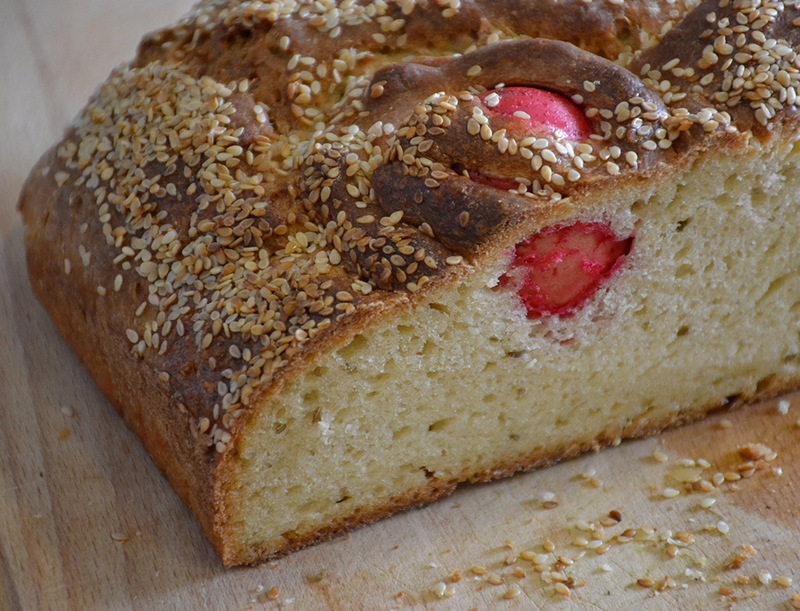 A big tradition on Easter Sunday and a task Vangelis is proud of. Katerina stuffs the goat with lemons and adds salt and pepper. But there is more meat that needs attention. 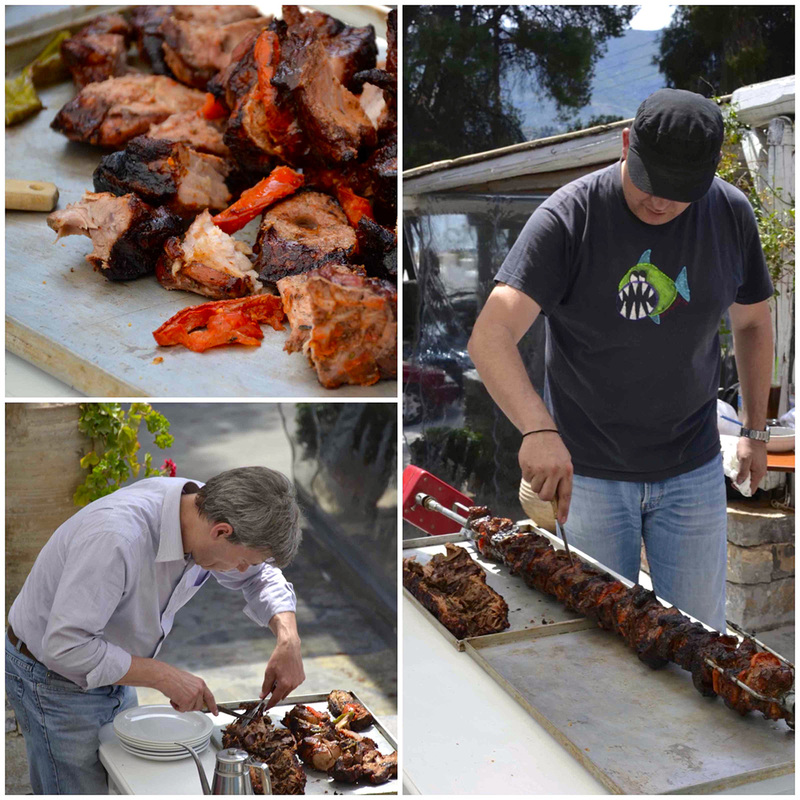 Rik and Katerina put together pork mixed with red and green paprika on another spit. While the meat is roasting on the spit more delicious food is prepared. 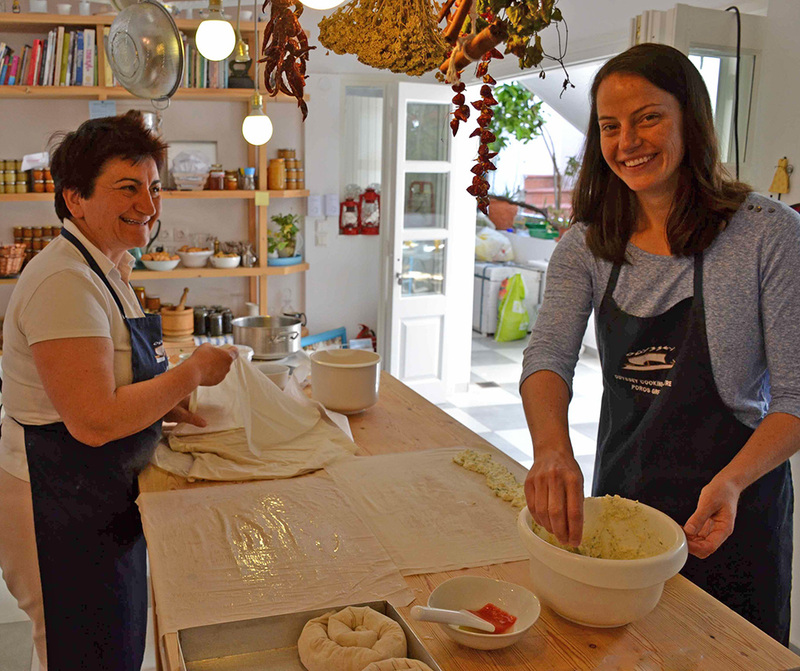 Kathryn – who has come all the way from California to participate in a workshop at the Odyssey Cooking Center – is helping with these tasks. Lamb with potatoes and lemons come out of the oven. Strifti Tiropita (feta cheese pie) and Galaktoboureko (milk pie) are in the making. Around eleven the first guests arrive, some bring along small gifts. The table is all set for the big party! 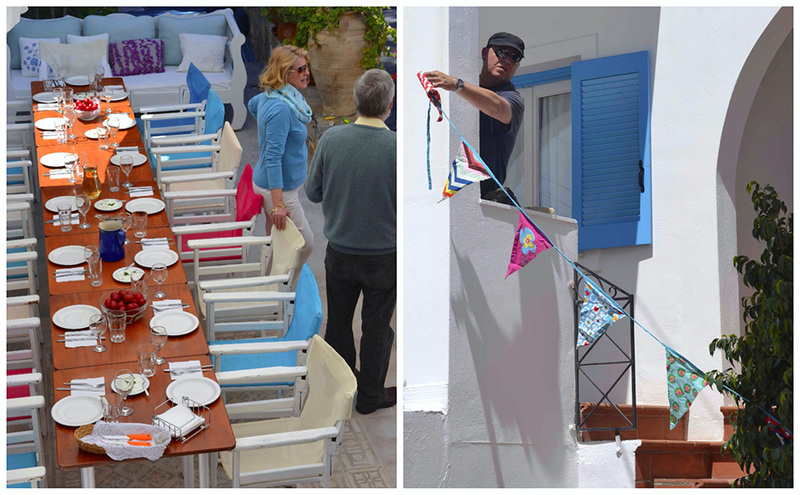 Vangelis adds the finishing touch by decorating the patio with colorful buntings. 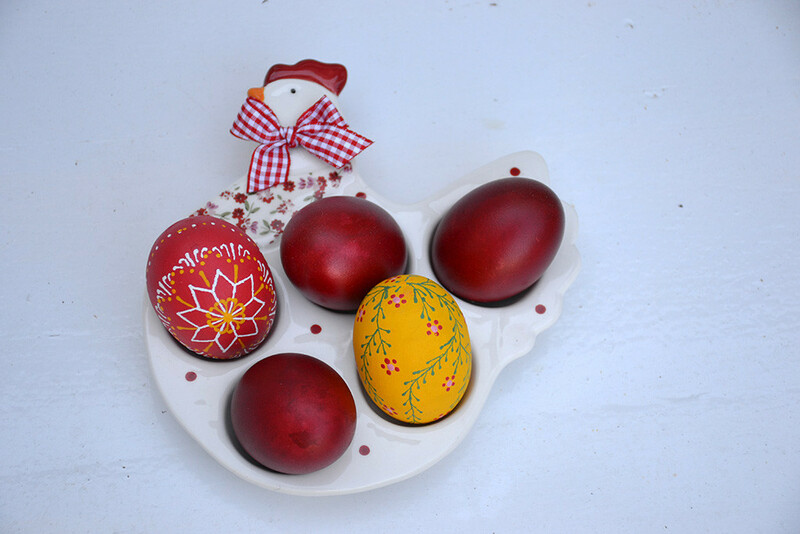 Shouts of “Happy Easter”! are heard all around. The other guests have arrived at the Odyssey and now everyone is present: Katerina’s parents, Rik’s mother, the brother, parents, children and wife of Vangelis, Kathryn, two Dutch sisters who also stay at the Odyssey and the woman who wrote a book set on Poros: Pamela Jane Rogers. Her partner is there too. I can’t wait to talk with Pamela about her novel Greekscapes. Everybody is playing the game of egg tapping. 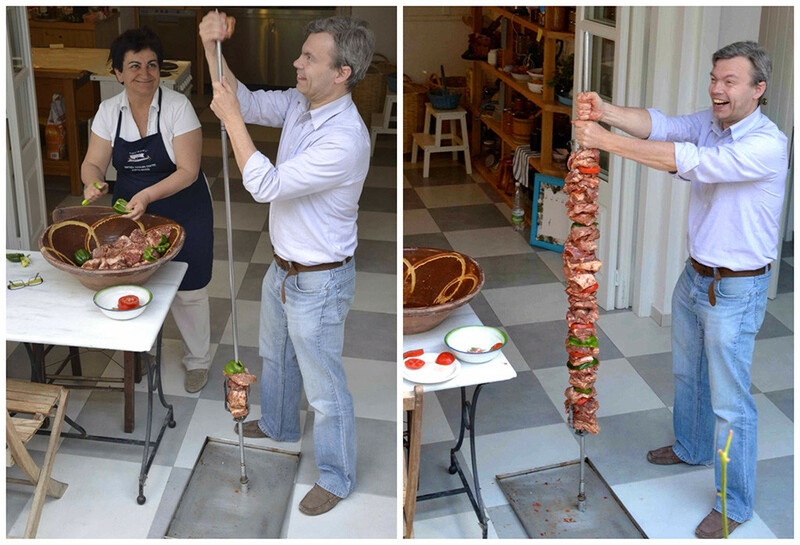 Vangelis’s mother puts saugages on the smokey barbeque. 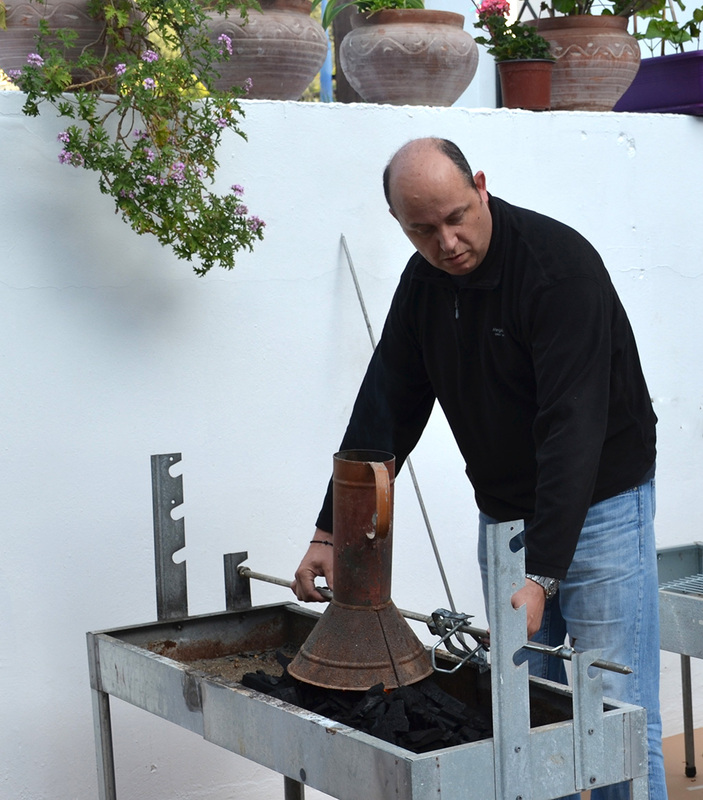 The meat on the spit is doing well, Vangelis is proud. …or given by children to their dolls. It’s time to go to the table and eat! 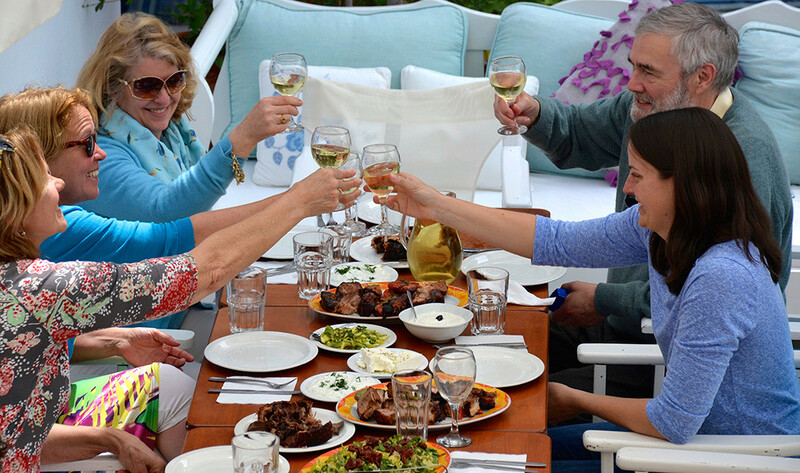 We make a toast to Vangelis to thank him for his expert care of the meat. Then another toast to life, Easter and good company before we dig in! And so the party continues for hours. Greek music is played, we all sing together and can’t stop eating the delicious food. 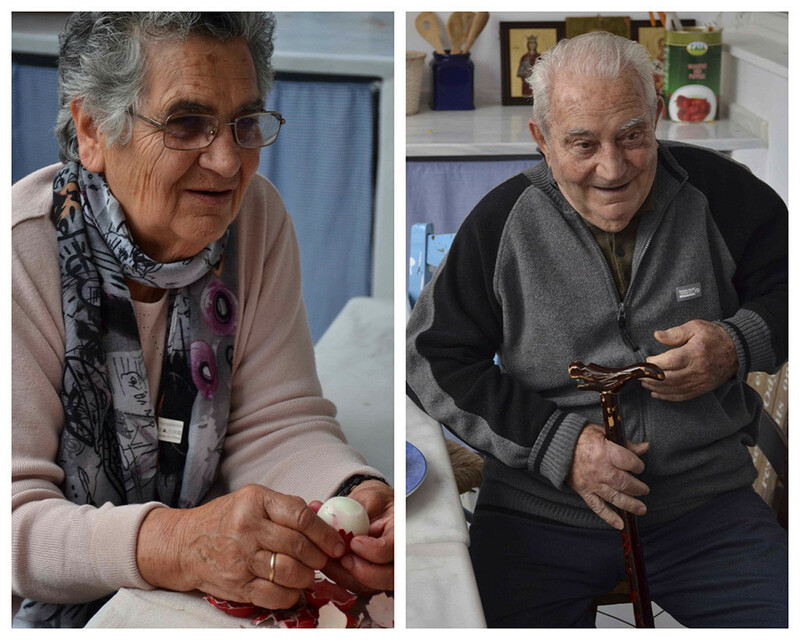 It’s wonderful to see the tables full of guests enjoying each other’s company, sharing the food as the Greeks like to do. The Holy Week on Poros and especially today has been an amazing experience for me. My next Easter in the Netherlands will for sure fade in comparison!